This is not a bug, although IMHO it is poor UI as implemented. In other words, it's supposed to be a status indicator, not a to-do list; it's just unfortunate that people like me think it looks like a "new messages" indicator as opposed to a thermometer. If you can think of a better design, you can always propose it at meta.stackexchange.com (MSE). 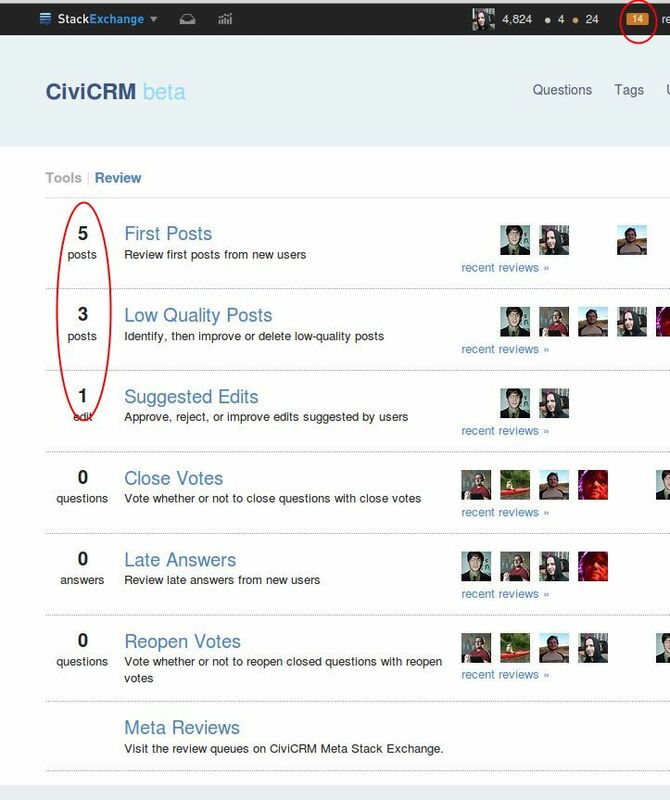 The review queue indicator began as a feature request two years ago, and was adopted to increase the number of participants in the review queues. Not long thereafter came the MSE feature request, Please dim the color of the review task counter when there are no actionable tasks, but the indicator has been argued to be too resource-intensive to personalize.